UPDATE: Be sure to check out my new and improved SCD Fluffy Vanilla Waffles recipe! This was my very first waffle recipe and I made it many times. These are basic SCD waffles. Sift almond flour, salt, and baking soda into a large bowl. Mix egg yolks, honey, butter, vanilla, and water in a separate bowl. Stir into the almond flour mixture. Mix well. Whip egg whites until stiff. Fold egg whites into the batter. Cook waffles according to waffle iron directions. I need to get a waffle iron- these look delicious! These are so so good! I thought they might be dense and hard, but they are soft and light. Better than regular waffles I think. Thank you! How many waffles does this make? It makes about 6 – 8 of the squares. I am really struggling to find SIBO friendly recipes because I am starving. 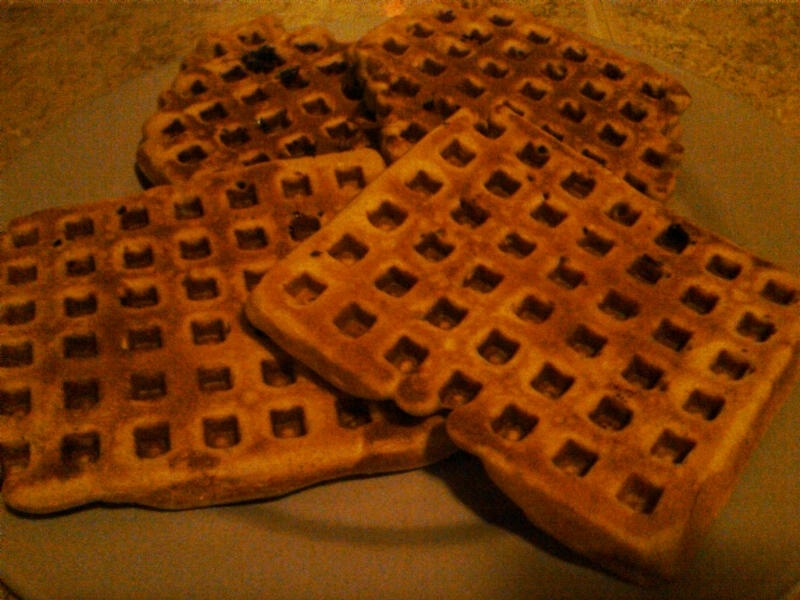 These waffles are so amazing and yummy. Thank you so much!!!! Thanks Kristina! The waffles are one of my favorite SCD recipes! I’m following SIBO diet, but also going gluten and dairy free. Will ghee work with this instead of butter? Sorry for the delay in response! Yes, you can use ghee or conconut butter instead if you like. I followed the recipe as written. These cooked well, tasted okay and my family liked them but for me they sat like a brick in my stomach (I’m the one with SIBO). I wouldn’t make them again. I’m sorry to hear these didn’t work for you! I do have a new waffle recipe that I think is a little lighter. This was the first waffle recipe I ever came up with for SCD. This is my new recipe – Fluffy Vanilla Waffles.